The mother of a Clare man who was stabbed in the back during a row had previously lost her daughter in a car crash, the Central Criminal Court has heard. The woman told the court that she finds that life is now “a constant struggle with only memories to sustain” her. “I can’t find words to describe the feeling of looking at the lifeless body of my beloved son, my last child on that trolley. I get up in the mornings and I see my neighbours’ children going in and out of their houses and realise my own children won’t be coming back,” Bridget Haugh told the court today. 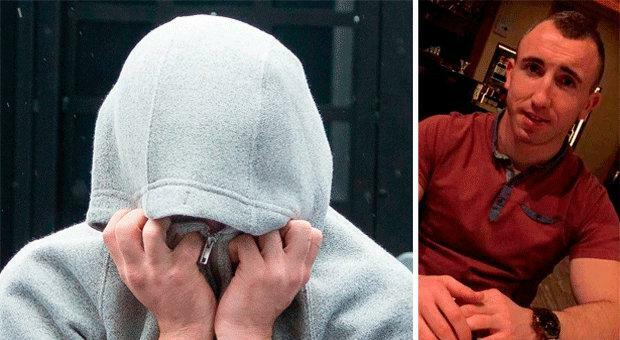 The testimony was heard as part of a victim impact statement read by a garda on behalf of Karl Haugh’s mother, Bridget Haugh, during Robbie Walsh’s sentence hearing today. 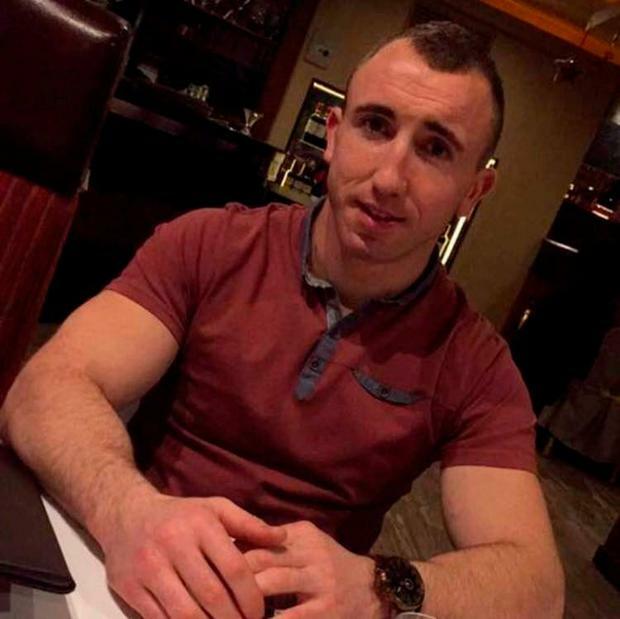 Robbie Walsh (23) was found not guilty of murder but guilty of the manslaughter of Karl “Gobbo” Haugh (25) by unanimous verdict on February 13 last. Deputy State Pathologist Dr Michael Curtis gave evidence that Mr Haugh died from a single stab wound, which punctured his lung and led to massive bleeding. The trial heard that Mr Haugh had been a fit and healthy man prior to the incident. Robbie Walsh (left) was found not guilty of murder but guilty of the manslaughter of Karl “Gobbo” Haugh (right) by unanimous verdict on February 13 last. Walsh of Island View, Kilrush, Co Clare had pleaded not guilty to murdering Mr Haugh at Marion Estate, Kilkee, Co. Clare, in the early hours of August 6, 2017. In his garda interviews, Robbie Walsh said he used a metal bar to smash windows of a car he and his cousins believed belonged to Mr Haugh. He said his group were running away after this, when he saw “Karl and a right few” others with golf clubs and bars. Walsh said in interview that Mr Haugh dropped a knife he had been holding during the ensuing fight, which he (the defendant) then picked up. He said he kept the knife as Mr Haugh grabbed him and started dragging him around “like a rag doll”. Walsh told gardaí that he then swung his right arm and stabbed Mr Haugh in the back. Ms Haugh told the court in her victim impact statement today that she was the mother of two children, a daughter Stacey and a son Karl. “We had the normal ups and downs as any family would until October 2003 when Stacey and her friend were killed in a car crash. Karl, who was only 11 years of age at the time was seriously injured in that crash and was only given a 20 per cent chance of survival. He had a long road to recovery,” she explained. Referring to August 2017 when her son Karl died, Ms Haugh said “life was good” for him at the time as he had qualified as a gym instructor and had become a dad to his “beautiful daughter”. “When I answered the knock on the door that night I had no idea what was ahead. I went to my neighbour’s house and the paramedics were working on Karl,” she said. When Ms Haugh went to see her son later that night in Limerick Regional Hospital, he kept telling her that he “was going to be fine”, she said. “The doctor told us that he was being transferred to Cork Hospital and we should get on the road. We got a phone call from the hospital 20 minutes into the journey to return to Limerick Regional Hospital,” she said, adding that Karl had passed away by the time they arrived back. "Our lives have totally changed and we are desperately trying to cope. The only light is Karl’s daughter, she is beautiful and full of life,” she concluded. At today’s sentence hearing Sergeant John Farmer, of Ennistymon Garda Station, summarised the facts of the case. Sgt Farmer told prosecution counsel Patrick Gageby SC that Robbie Walsh is a habitual drug user and has ten previous convictions including assault causing harm, damage to property and possession of an article with intent to cause injury. Under cross-examination, Sgt Farmer agreed with Brendan Grehan SC, defending, that his client had offered to plead guilty to manslaughter in advance of the trial and that plea was rejected by the Director of Public Prosecutions. The defence counsel said it was clear that Robbie Walsh became involved in events on the night which were not of his own making. Sgt Farmer agreed with counsel that Walsh had lent himself to a conflict in support of his cousins, one of whom had been “particularly belligerent” that night. Mr Grehan said Mitchell Walsh, one of the defendant's cousins, had a large red knife in his possession on the night but his client had not brought a knife to the scene. Sgt Farmer agreed with counsel that in the immediate aftermath of the killing, it was thought that Mitchell Walsh had stabbed Mr Haugh. However, Robbie Walsh made immediate admissions to gardai the following morning and said he had stabbed Mr Haugh in the back on the previous night, said Mr Grehan. Following this, the defence barrister read aloud to the court a letter of apology written by Robbie Walsh in which he said: “What happened that night was a terrible mistake. I always thought highly of "Gobbo" and still do even more so since that night. I feel terrible about what happened and not a day goes by where I don’t think about him. Things escalated from words on the phone to madness fuelled by drugs and drink. It's no excuse and I know that sorry will never be good enough but it’s all I can say. He was a good skin. I'm sorry from the bottom of my heart, I truly am”. Mr Grehan submitted to the court that mitigating factors included the fact that his client did not bring the knife to the scene, his remorse as well as his immediate admissions to gardai. In conclusion, the defence barrister asked the court to consider a partly suspended sentence and to be as lenient as possible when sentencing his client. A probation report was sought for Walsh last month and the court heard today that it found the defendant was at high risk of reoffending unless he engaged with therapeutic services for drug addiction. Ms Justice Carmel Stewart then extended her sympathies to the Haugh family and said the victim impact statement had very much summed up the anguish and pain that had been caused on the night. “It’s unimaginable that Ms Haugh lost a daughter some years earlier and then lost another child,” she added. The judge remanded Walsh in custody until April 8, when he will be sentenced.